Ability Handling recently delivered a new Cushman Hauler PRO utility vehicle to a secure landscape compound, where it will be used to assist with a number of gardening-related duties. The Hauler PRO is one of our most popular models and, with its comprehensive range of useful features, it isn't hard to see why! The vehicle we supplied featured an all-weather ROPS (Roll Over Protection System) cab, which provides full cover to the operator in poor weather conditions that would normally prevent work being carried out. A front screen opening allows for fresh air ventilation, delivering a comfortable operating experience to the driver and passenger, even in the height of summer. 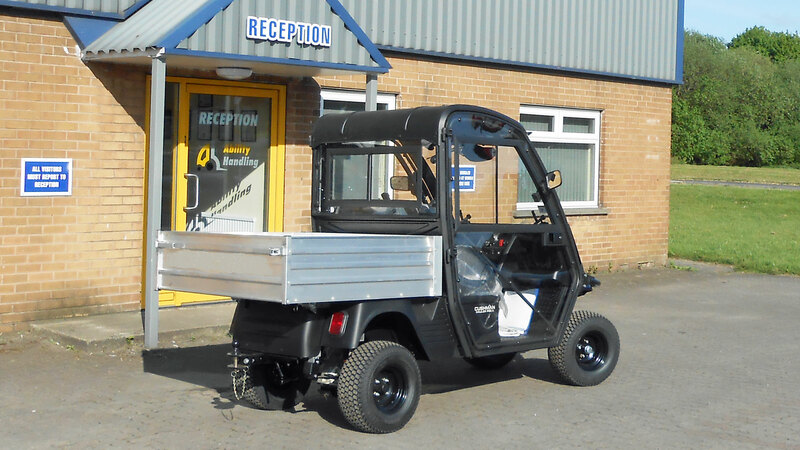 Upon taking delivery, the Site Manager said, "we were delighted to be able to order an environmentally friendly vehicle, with the added bonus of lower running costs, rather than going for a petrol or diesel engined machine." Find out all the details about the Hauler PRO on our website or get in touch with our technical team for further information and advice.